The West Japan Railway Company recently teamed up with Suma Aqualife Park in Kobe, Japan to make their tracks safer. Not for its passengers or other humans, but for turtles. They recently installed a turtle tunnel that passes underneath the tracks to keep turtles safe when they try to cross them. 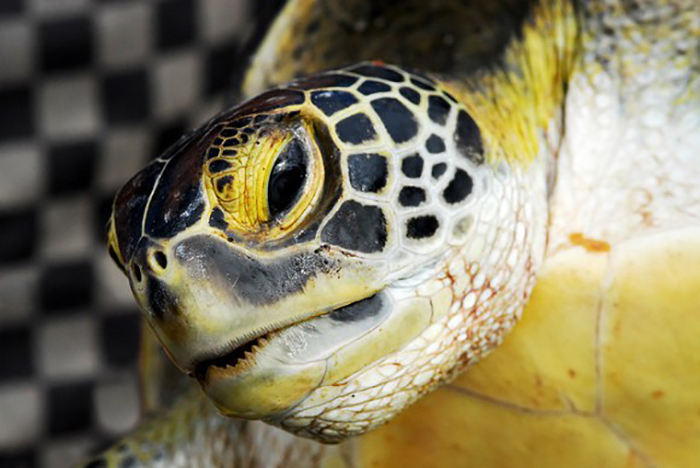 Turtles have gotten crushed, or stuck in the track switches, multiple times, causing delays and harming the animals too. The Suma Aqualife Park is a giant aquarium/beach park in Kobe that attracts lots of visitors, most of whom arrive by train. It's because of the park's proximity to the ocean that so many turtles have gotten stuck in the train tracks. 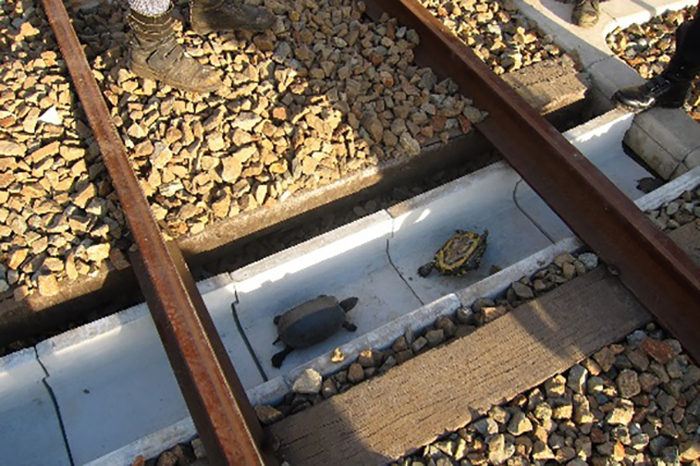 The most common way for the turtles to get stuck is when they try crawling over the railroad tracks and become trapped between the two high metallic rails, according to Rocket News. 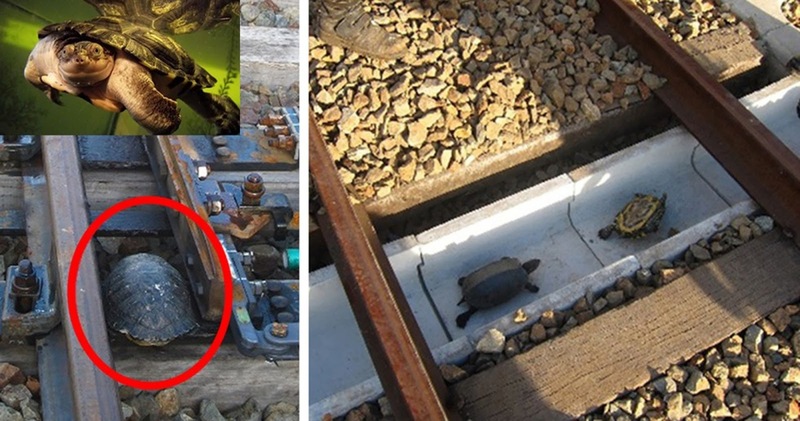 Since the turtles can't climb out, they're forced to follow along the track, until they eventually are run over by a train or get stuck in a part of the rail-switching mechanism. The switch then crushes the turtle at some point, usually getting damaged in the process and forcing the train to stop until it can be fixed. In order keep keep passengers and turtles happy, and healthy, Japan Railways implemented the solution you see above: escape ditches for the turtles along the tracks. This new turtle escape route was implemented this April. In the four months that followed, there were 10 turtles observed making use of them to leave the tracks, which means that addition to saving the lives of 10 turtles, potentially 10 accidents have been prevented too.